Bridgton Academy is excited to announce that Ted Garber has been selected as Bridgton Academy Lacrosse Interim Head Coach. With previous Head Lacrosse Coach Jon Hunt moving on to accept head coaching duties at Colby College in Waterville, Maine, Bridgton Academy moved quickly to tap Garber for the Interim Head Coach position. Garber, who has been working with Bridgton Academy for the past year as a recruiting consultant, will be a presence that will not only maintain synergy within the lacrosse program, but also continue Bridgton lacrosse’s tradition of excellence, and steer the program in a positive direction for 2017. Garber brings over 40 years of experience in the lacrosse world to Bridgton Academy. A graduate of the University of New Hampshire (where he is enshrined in the Wildcat Hall of Fame), Garber has devoted his entire career to lacrosse. 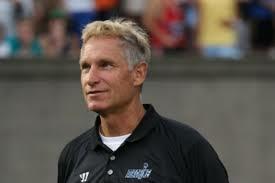 Garber has coached at UNH and the University of Massachusetts, and was also head coach of Major League Lacrosse (MLL) squad, the Ohio Machine. He has also been a coach at the prep school level, as well as a recruiting consultant at Bridgton Academy since 2015. At Bridgton, Garber will be tasked with taking a squad coming off a successful fall season through a demanding, nine-game spring season. Bridgton Academy will be playing national powerhouses including Onondaga Community College, Finger Lakes Community College and Army Prep. It will fall on Garber to prepare the squad for the challenge, who will also look to avenge several losses from the fall season. Garber will also devote his time to finding talented and motivated student-athletes to fill out a lacrosse program that is consistently one of the top teams in the Northeast. Playing a schedule filled with collegiate, club and service academy competition throughout not only New England, but the entire east coast, Bridgton Academy lacrosse has a 30-year tradition of excellence that looks to continue into the future. In the coming months, Bridgton Academy will conduct an exhaustive, nationwide search to find Hunt’s permanent successor.